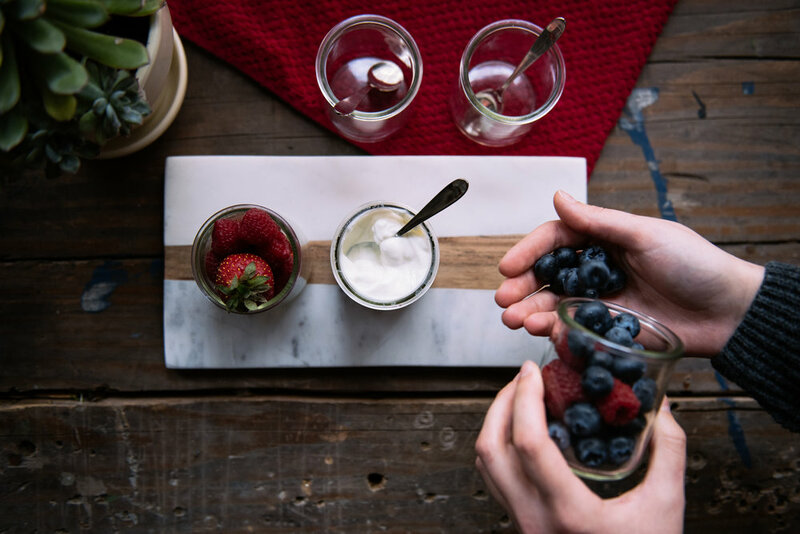 At Nounós Creamery, we hand-craft our yogurt in small batches to honor the artisanal Greek tradition. From start to finish, each batch is a three-day process. We keep it simple and pure: farm-fresh milk with heirloom probiotic cultures. The result: tart perfectly balances sweet, enveloped together in luxuriously thick texture. Most Greek yogurts strain using high-speed industrial equipment, with powdered milk or processed thickening agents. At Nounós, we strain our yogurt the same way it has been done in our family’s village in the Southern Peloponnese for centuries: cotton straining bags and gravity. The result is a thick, velvety, protein-rich yogurt. Besides being 100% recyclable, glass and ceramic materials protect the flavor and integrity of our yogurt. It’s safer for the environment, and safer for you. And we think it makes for an even more enjoyable, more sophisticated yogurt experience.